Are you are fed up with the climate, rising prices and stress at work? Do you just live for that annual two-week holiday in the sun? Maybe the time has come to consider a complete change in your life and live and work in another country? People that live in EU countries have the flexibility to move to another country to find work, and many different nationalities from Europe have moved to Spain, the Canary Islands and the Balearic Islands to find work, or to live in retirement. People that live in other countries need to apply for a visa if they want to live and work in EU destinations over a long period. Better weather, lower prices and a more relaxed pace of life are often factors that encourage individuals, couples and families to move to Spain, which means that there are many expats that have already made the move and live happily and successfully in another country. Many people want to live and work in another country that they know well and have visited often. The Canary Islands are a group of seven main islands that have a great deal to offer anyone wishing to escape the day-to-day grind of life in the country of their birth. The Canary Islands are an autonomous province within Spain, and are at the southernmost extremity of the European Union, which also means there is a wonderful climate throughout the year! Most non-Europeans planning an extended visit will have no problem living in the Canary Islands for up to three months without a visa, but for longer periods check online with the Spanish Embassy about applying for a visa. Whilst being outside the EU for tax purposes, perfumes, wines and spirits and luxury goods, as well as petrol and diesel, are perhaps the best value in Europe. In addition, as the islands are closer to Africa than Europe the climate offers just two variations – warm and hot. There is no winter or autumn – just spring with a freshening of the winds and maybe a little rain. The arrival of summer is usually heralded with the beginning of Carnival season – a riot of colour, costumes and music only outrivaled by South America - with months of glorious outdoor living, sun and sea, and whatever else takes your fancy. Finding work will depend on many factors, including speaking Spanish reasonably fluently, and living on an island will depend on work opportunities. However, the Canary Islands have seven destinations for places to live and work, where the larger islands have greater potential for finding work or starting your own business, but the smaller islands could also appeal to those who seek a quieter place and have potential for creating new business ideas. Places where there are already expats from your own country helps, because they are likely to give help and support, and speak the same language. If you intend to live and work on these islands – and many do for varying lengths of time – bar and other holiday employment is usually readily available. However, please be aware that these jobs are often temporary by nature, low paid, long hours and “cash in hand” with no state benefits attached. The only way to get these is to be either self-employed or to be employed on a contract basis. The best advice for anyone moving to another country is to forget what you were at home, as it is highly unlikely that you will be offered a similar job in the Canary Islands and certainly not at the same rate of pay! Keep an open mind to take on anything that appeals, but try to utilise those skills and talents that you already have and you will be surprised at what you can do! If you have skills that would fit employment needs on the island, then check this out before arriving, such as teaching English as a foreign language. 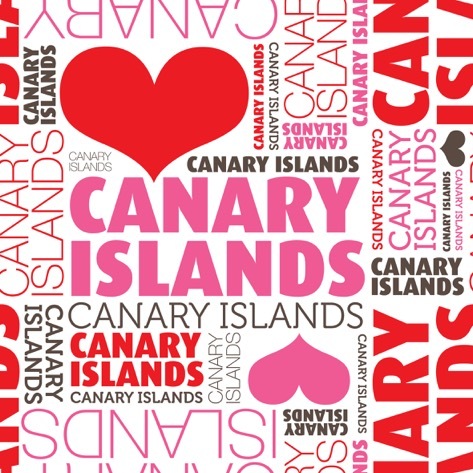 Many people earn an income through the Internet, so although fast broadband is available in the Canary Islands, this may not be available at all locations, so check this out if it is important to you. If you speak Spanish, then finding work will be easier and will offer a legal contract that offers you medical, social security and other benefits. You will need a Spanish Fiscal Number (NIE) to find legal work and this can been obtained easily by talking to an English speaking lawyer. Buy or rent? If you are considering a permanent move to the islands or, indeed, to any part of Spain, you would be wise to consider renting a property for the first year or two. In that time it will become clearer where you would like to live. 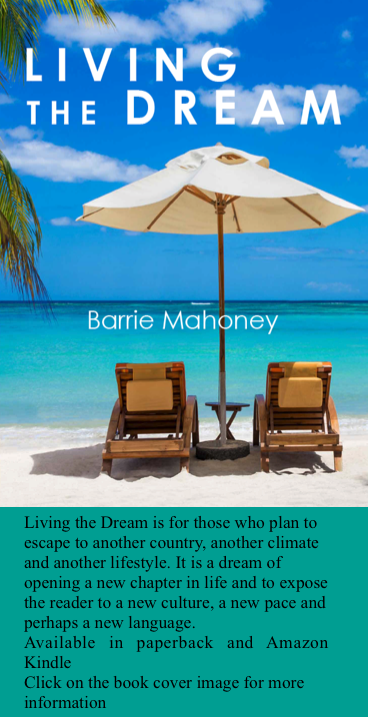 After all, would that glorious villa or apartment where you happily sunbathed on holiday really be suitable to live in all year round if you were working or living permanently on the island. A week or two of baking heat during the summer is glorious if you are on holiday, but could you really stand the heat permanently or the large electricity bills from the air conditioning? If you are not sure, then renting is easier and more flexible if the area you choose or island you choose does not meet your expectations. A rented property gives you the chance to get to know the island and the people that live there. Different customs, laws and traditions take time to get used to. At the moment, house and apartment prices are, in common with most of Europe, falling and there are some good value purchases to be had. The best advice to offer a would-be purchaser is, before you do anything, find a good English-speaking lawyer to advise you upon the legal formalities that are needed in Spain. This is essential, so ask around, take advice from other expats, check with your consulate and do not rely only upon the legal services offered to you by real estate agents. You need your own lawyer to guide you through this all important purchase. The seven inhabited islands offer different attractions to would-be expats, but more facilities are available on the larger islands. Did you know Las Palmas in Gran Canaria is the seventh largest city in Spain? Other capital cities also offer magnificent buildings, museums, theatre, orchestral performance, ballet, opera and art galleries. The larger islands also have large shopping centres and department stores, so residents lack nothing on these islands, but can also order online from fast broadband and get items delivered fairly quickly. Many expats consider living in traditional Canarian towns or villages rather than the better known but more expensive tourist areas. Living in a tourist area that you know well makes people safe and comfortable, but you might want to live in an undiscovered village in the mountains that offers traditional style Canarian cottages and even cave homes at reasonable prices – if you fancy a quieter, getting away from it all lifestyle. Also, local workers will live in towns that offer better value properties for rent or purchase, so talk to local people to find out where they live, and check these locations out. If you decide to buy a property, do visit a number of Spanish and Canarian Estate agents, and not just the British and German ones. Try to deal with a company that can speaks English – many agents in tourist areas of an island consider this to be essential and will ensure that a member of staff can help you in your own language. Remember to be as cautious when buying as you would be in your home country, and do not leave a hefty deposit with the estate agent. After all you wouldn’t even consider this at home, but many expats have in the past and a number have been known to lose their money when the company collapses. No, it is not good enough just to speak English. Make an effort, and learn Spanish too! An important aspect of life in any foreign country is to make an effort to learn the language. It is better if you make a serious commitment to learn Spanish before you move from your home country, but in any case it is helpful and always appreciated by the locals if you can say a few phrases in Spanish. Town Halls usually offer Spanish lessons in groups at reasonable charge and private tutors and language schools are readily available. When families move to the Canary Islands and have obtained a residence permit, children may join the local Canarian school. When children are young, this gives them access to learning another language and to make friends in their new country. Older children can finding learning another language quickly more difficult, while learning all school subjects in Spanish at the same time, and may need extra help to keep up with others in the class. Some families choose to send their children to English speaking schools, and some schools based in the Canary Islands also offer a curriculum similar to children’s home countries. There are schools that offer lessons in various languages, so check out what is available on the island of your choice. If you are not a European national and you are not working with a legal contract, you either need to pay into the Spanish healthcare and social security system or take out private medical insurance. Medical care on the island – both private and state - is excellent and its hospitals have rightly gained a first class reputation for quality care both on the island and in Spain. There are also a number of very good private hospitals and clinics offering first class care. If you are an EU citizen and are below the age of retirement and have no legal work contract, then you have no access to the Spanish national health care system, except for emergency treatment with the EU Health Card issued by each country. So EU citizens living in the Canary Islands need to have private health insurance, but it is now possible for EU residents to pay into the Spanish national health care service, and more information can be obtained from an English speaking lawyer. If you are an EU citizen above the retirement age and plan to live in the Canary Islands you would be entitled to full health cover under the Spanish national health system, but you will need to provide evidence from the Work and Pensions Department and register this with the Canarian Social Security Office. You would also need an NIE number and a Certificate of Residency. The range of support given to EU nationals has reduced over recent years, but there is useful information that can be accessed from their websites to give guidance about laws and regulations that can seem confusing to people when they first arrive in a new country. The consulate still provides emergency support and a telephone helpline at all times. 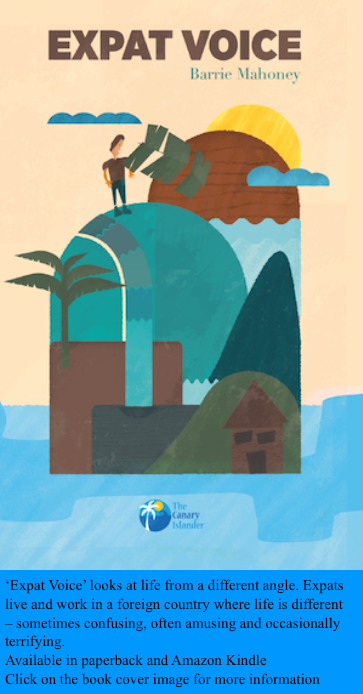 Many people find work on each of the Canary Islands that is linked to the tourist industry, but the opportunities to find work on the smaller islands are likely to be limited. So it is important to make sure you find employment before moving to the Canary Islands, or at least have enough money to live on until you find suitable work. 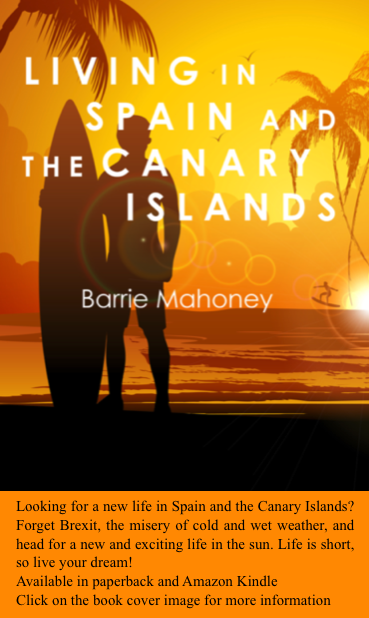 Remember too that, unless you are very fortunate, you will not make a lot of money in the Canary Islands. However, what you will achieve is a more contented and healthier lifestyle in the sun, with a much lower cost of living. Water, electricity, council tax, car tax and main bills tend to be lower, and you will have more time and the possibility of enjoying all year sunshine, beaches and outdoor living. Remember to prepare effectively for your intended move, including learning the language, and reading as much information as you can about your intended destination. We can help you if you subscribe to our online newspaper which is FREE to subscribers of this website. 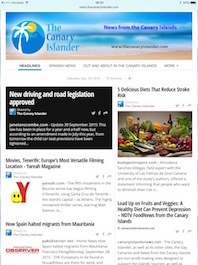 Go to news.thecanaryislander.com for further information, or enter your email address in the link provided. 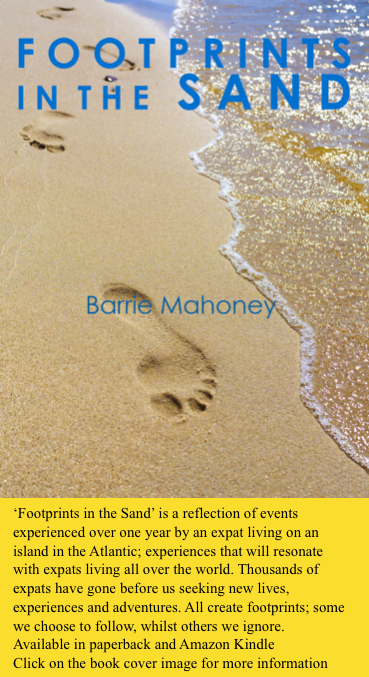 For more information about living and working in Spain and the Canary Islands, you may wish to download copies of the ‘Letters from the Atlantic’ series of books, which are written to assist expats, and those thinking about living a new life in the sun. These are available from all good book retailers, Waterstones, and Amazon, as well as in Kindle editions.